This is the music lyrics that describes the perfect hunting day of waterfalls, right?! So in this article, I will bring you to the South of Cebu, an island of unique and beautiful waterfalls & natural pools. 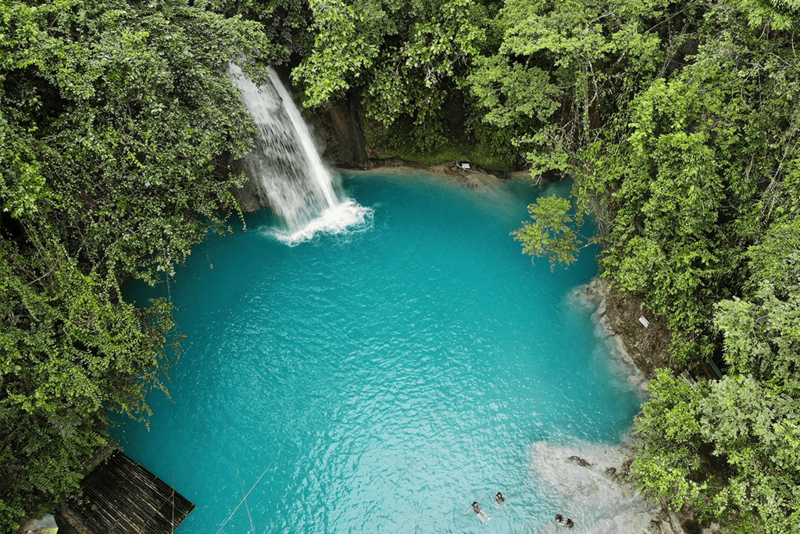 One of the most beautiful and famous are the KAWASAN FALLS! The particularity of the waterfalls of Cebu is that there are many waterfalls in one in a place! For example, the Kawasan falls have 13 floors and you can explore them 1 by 1 by doing the Canyoneering! The flagship activity of Kawasan Falls! After spending the morning in the Kawasan Falls, you still have the whole afternoon to explore the rest of the island and chase all the other and hidden wild waterfalls that are as beautiful as the Kawasan Falls. The best way? Rent a scooter and feel free to stop whenever you pass by a waterfall entrance! Here is a quick list! Will update it once I will visit them!